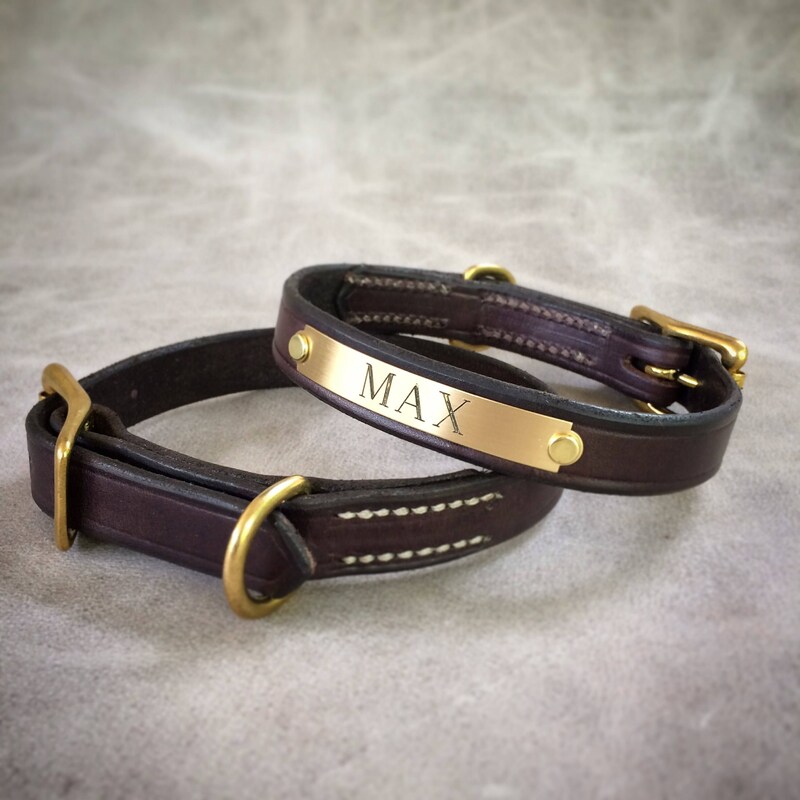 Personalized leather dog collars that come in a variety of widths and lengths. Made from high quality English bridle leather and solid brass hardware. Each collar has just the right amount of oil with sealed, waxed and slicked edges. Plates! Please include in the "order notes" what you would like on the plate. Sizing! Make sure your measurement is where you want the collar to rest comfortably on the dog. Two extra holes will be punched on both sides of measured sizing hole for adjustments. Designed and made in collaboration with Dog in the Woods. This collar surpassed my expectations. It’s beautiful, delicate, and so well made. I have quite a small dog (11.5 lbs terrier mix) and everything I’ve bought so far has been horribly oversized. The options for adjustment were precise and the leather work was excellent. Aaron helped me through the process of ordering a special plate, and I could not be more happy! High quality product, excellent customer service.